Dry skin requires both moisture and a non-aggressive cleansing agent that nourishes the skin and preserves its natural barrier. 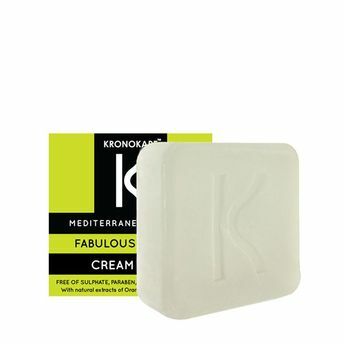 The Kronokare Fabulously Fresh Cream Soap is a sulphate free citrus soap that ensures gentle cleansing while nourishing the skin with pure coconut oil and citrus extracts. The Kronokare Cream Soap will not just make you feel clean and soft but would also give you a fresh and fabulous feeling at the same time. Explore the entire range of Soaps available on Nykaa. Shop more Kronokare products here.You can browse through the complete world of Kronokare Soaps .Alternatively, you can also find many more products from the Kronokare Fabulously Fresh Cream Soap range.